You’ve been running for months, but you know that sometimes exercise brings on chest tightness. There has been some wheezing, too. What’s going on? Could this mean cancelling your plans to sign up for that half-marathon? Not to worry. You might have exercise-induced asthma (EIA). Many successful athletes have had it, including celebrated Olympian Jackie Joyner-Kersee, winner of multiple gold medals in long jump and heptathlon and ranked among history’s all-time greatest. In fact, as a frame of reference, eleven percent of athletes who participated in the 1984 Olympic Summer Games with Joyner-Kersee had EIA. These athletes won a combined forty-one medals. Exercise-induced asthma occurs in about twelve to fifteen percent of the population and ten percent of children in the United States. Of patients with chronic asthma, between seventy and ninety percent have EIA. As many as forty percent of patients with allergic rhinitis (or nasal allergy issues) also struggle with EIA. If you think you might be one of these statistics, ask yourself if these symptoms apply to you. Do you experience wheezing and/or tightness in the chest with shortness of breath starting five to ten minutes into vigorous exercise? How about wheezing or chest tightness starting five to ten minutes after stopping the exercise? If it is EIA, the symptoms may last minutes to an hour and then go away without medication. Half of those with EIA have a refractory period during which an individual can continue to exercise without being subject to chest tightness beginning thirty minutes to four hours after starting. Some have a late reaction in which symptoms come back twelve to sixteen hours after exercise and can last for twenty-four hours. Most researchers feel that the cause of EIA is cooling and drying of the airways. Asthmatics have what we call twitchy (or hypersensitive) airways. When exercising, especially in cold air, the individual breathes through the mouth so that the nose does not have a chance to warm the air. The air is exchanged more rapidly, which means that the airways are subject to cooling and drying. This causes the mucous membranes inside the airways to swell and produce excess mucous, along with tightening of the muscles around the airways. In short, an asthmatic reaction occurs. So what can be done about it? When exercising in cold weather, you might try putting a scarf loosely over your nose and mouth. This will help warm the air a bit. Avoid exercising on high-pollution or high-pollen days (if you are allergic to pollen). 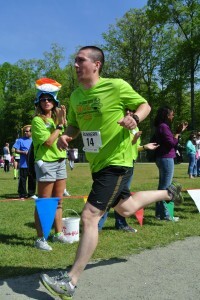 If that cannot be avoided, wear a pollen mask while exercising. Also, take a look at your exercise choices. Some forms of exercise may be a better option for people with EIA, including swimming, biking, or hiking. When you visit a physician, she may prescribe a short-acting bronchodilator, (such as Albuterol), to take two puffs ten to fifteen minutes before exercise. If exercise is going to last more than two to three hours, a long-acting bronchodilator, such as Serevent or Foradil, may work better. Another medication which may help is Singulair (montelukast), taken two hours before exercise. It’s important to note that unlike EIA alone, chronic asthma needs to be controlled with regular corticosteroid inhalers or with dual-acting inhalers that have both an inhaled corticosteroid and a long-acting bronchodilator. But once you get a handle on your EIA, you should be off to the races! Elaine Turner, MD, has held faculty appointments at Northwestern, Rush Presbyterian, Cornell, and VCU medical schools. 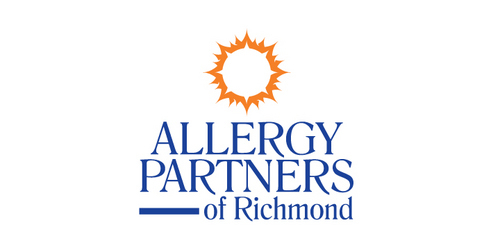 She relishes figuring out the cause of a patient’s complaints and working on an appropriate plan of action through her work at Allergy Partners of Richmond.